Our client is looking for sales reprentatives! 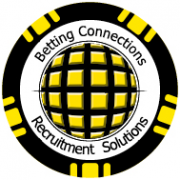 As a sale Representative you will be working as a team , think independently and come up with creative solutions and ideas in a well-established Online Gaming Company in Bucharest. By joining our team , you will be part of a fast-growing company with various challenges and opportunities for further career development. Sales conversation by chat , email and phone to client from all around the world.